The agenda of the meeting was consideration of proposed amendments to the Protection, Promotion, Development and Management of Indigenous Knowledge Bill ‘C list’ (B6C-2016). This arose out of the last meeting that the Committee which had voted on alignment of the ‘B List’ to incorporate issues raised in the negotiating mandate reports and come up with a Draft Bill ‘D-Bill’ to address the concerns that fell within the negotiating mandates. The meeting was to make sure that what had been presented to Members and agreed upon is what had been incorporated in amendments to the draft bill. The Parliament Legal Advisor briefed Members on the amendments that had been incorporated. These included the following. At page 4 of the D-bill in the definition of the word Curator, there had been added the word who for grammatical purposes. On page 6 in clause 5 there were some typos with licence where it was typed with an s and it was cleared. A bigger amendment included in page 7 in clause 7 is the definition of industry in sub-clause 9. On page 8 in clause 9, the amendment was merely strengthening of the clause by deleting sub-clause 3 as it had merely been repeated from 2. In Clause 11, a comma was added. In clause 13, for purposes of clarification, the word source was replaced with origin. On page 10, NIKSO (National Indigenous Knowledge Systems Office) was given key responsibilities with addition of the word ‘must’. In clause 18, for clarity purposes, Proclamation No. 103 of 1994 was added to indicate the actual Public Service Act, 1994. In page 12 clause 26 the term non-commercial research purposes has been deleted thereby one needs prior consent. On page 13, clause 28 was also edited. Clause 34 there was an adjustment made that the Bill is now a 2018 Bill and not a 2017 one. Also in order to align everything with the amendments, the heading of 3.4 of the Memorandum was amended to say recognition of prior learning of indigenous knowledge practitioners. A Member from Free State raised a concern that there was a tendency is Parliament and Legislature even State Departments to disregard input made by members. This had to be dealt with immediately as the particular Bill was a good and important Bill to the people. Another member from Western Cape asked members to check whether what they had recommended in the previous meeting was what had been incorporated into the D-Bill. Another member added that after the Committee was done with the Bill there must be a continuous outreach program from the Department of Science and Technology (DST) to make people understand the Act. A member from the North West opined the Bill touched on a very important and critical part of the Country and that an outreach would ensure that people who are not hand-on on IT will be able to access this information and know what the Bill will do for them. A member added that the departments APP (Annual Performance Plan) must include outreach programs. The DST responded on the issues by the Members by stating that the concerns raised would help to ensure that the Bill was not an end but part of a process of empowering communities around their indigenous knowledge is strongly adopted by the Department. 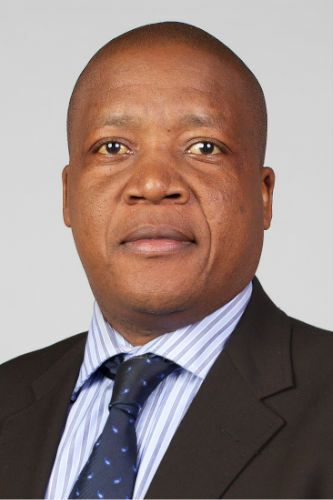 The Department reassured the Committee that engagement with the public would be observed such as has been seen in engagement by the Department with Members and the Department and the communities. The Department gave an example of the visits Members made to witness engagement activities and discussion around the Bill which built a relationship not just around the Bill but built up for a long time between NIKSO in the DST and local communities. In particular, the Department would also establish IK documentation centres in each of the Provinces. The Department admitted that there was still much more that it could do and committed itself to doing so going ahead in terms of deepening understanding and implications of the Act. The agenda of the meeting was consideration of proposed amendments to the Protection, Promotion, Development and Management of the Indigenous Knowledge Bill (B6D-2016). The meeting was to make sure that what had been presented to Members and agreed upon had been incorporated in amendments to the draft Bill. Dr Barbara Loots, Legal Advisor, Parliament, briefed Members and said that the initial Bill was sent to provinces for their negotiating mandates. Certain issues as per the mandates were then brought to the Committee last week where Members voted for their incorporation. The C-List contained just the amendments made and where exactly they are found in the D-Bill. On page 4 of the D-bill in the definition of the word ‘curator’, there had been added the word ‘who’ for grammatical purposes. On page 6 in clause 5 there were some typos and it had cleared. A bigger amendment included in clause 7 was the definition of ‘industry’ in sub-clause 9. On page 8 in clause 9, the amendment was merely strengthening of the clause by deleting sub-clause 3 as it had merely been repeated from 2. In Clause 11, a comma was added. In clause 13, for purposes of clarification, the word ‘source’ was replaced with origin. On page 10, the Committee had stated that separation of responsibilities must be clearly outlined and the National Indigenous Knowledge Systems Office (NIKSO) given key responsibilities therefore a ‘must’ was added. In clause 18, for clarity purposes, Proclamation No. 103 of 1994 was added to indicate the actual Public Service Act, 1994. On page 12, clause 26, the term ‘non-commercial research purposes’ has been deleted thereby one needs prior consent. On page 13, clause 28 was also edited. Clause 34 there was an adjustment made that the Bill is now a 2018 Bill and not a 2017 one. Also in order to align everything with the amendments, the heading of 3.4 of the Memorandum was amended to say recognition of prior learning of indigenous knowledge practitioners. The Chairperson asked for any clarifications. .
Mr J Parkies (ANC; Free State) thanked the legal department for incorporating the amendments. that had been agreed upon by members. However, there was a tendency in Parliament, the Legislature and even State Departments to just disregard input made by Members. It was not clear whether they do this because the recommendations lacked substance or functional English. It was a tendency that the Committee will have to deal with because what is important is that any recommendations by the Committee must be given due accordance. This particular Bill is a good and important Bill to the people and after the Committee was done with the Bill there must be a continuous outreach program from the Department of Science and Technology (DST) to make people understand the Act. The Chairperson noting this concern asked Members whether what had been presented to them is what was in the C-List having been agreed on by the Committee. Mr J Sefako (ANC; North West) added that he seconded the proposal by Mr Parkies as this Bill touched on a very important and critical part of the country. The proposal on an outreach will ensure that people who are not hands-on on IT will be able to access this information and know what the Bill will do for them. The Chairperson stated that the Departments’ work was commendable. Had attended an event with DST where there was public participation. However, there is a lot of local uncertainty for example on where to go register local ideas. This is why there was a need for this outreach programs. 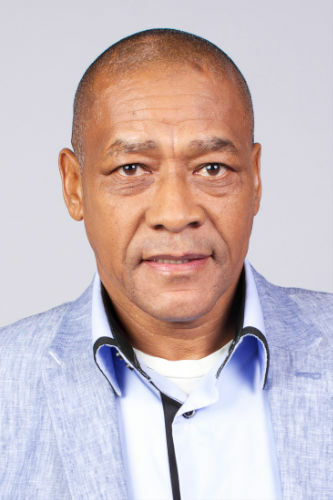 Mr J Parkies opined that it was more prudent for the Members to be specific that the Department must have outreach programs in its Annual Performance Plan (APP). Dr Thomas Auf de Heyde, DDG, DST, responded by stating that Dr Yonah Seleti had sent his apologies. He thanked Members for their comments, support and leadership in taking the Bill forward. The concerns raised to ensure that this Bill was not the end, but part of a process of empowering communities around their indigenous knowledge, was strongly adopted by the Department. The Committee should be reassured that engagement with the public will be observed such as has been seen in engagement by the Department with Members. This was witnessed in the visits Members made to engagement activities and discussion around the Bill. That relationship has been built up not just around the Bill but built up for a long time between NIKSO in the DST and local communities. In particular, the Department has also established IK documentation centres in each of the provinces. There is still much more that the Department can do and will commit itself to doing so going ahead in terms of deepening understanding and implications of the Act. The purpose of the Act is to build infrastructure to enable communities use and apply indigenous knowledge. 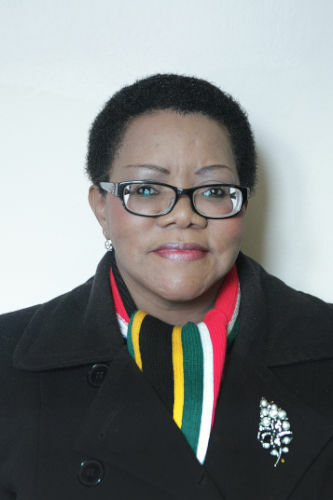 The Chairperson thanked the Department for finding time to come and excused them as the remaining agenda was adoption of minutes of the last meeting. Mr A Nyambi (Mpumalanga) moved for adoption of the minutes and Mr Sefako seconded. Mr Parkies stated that in the program, the date of 7th and 8th had changed as the Committee would be dealing with questions of governance and has been changed to the 14th of August. Requested the secretariat of the Committee to make a follow up as had noticed that it had been indicated as 17th and not 14th as agreed. The Chairperson stated that the program had been drafted that morning and would be amended accordingly. Mr Nyambi asked about planned oversight visits specifically where the Committee would be going, when and for what specific reasons. The Chairperson added that that was the same question she wanted answered as a program had been given to her the previous date providing where the Committee would be going but was concerned about the time. Members did not want to be on the road for a long time. Mr Erik Boskati, the Committee Content Advisor stated that as the program is being prepared by staff, a proposal of the areas to visit is made. The specific issues being addressed by the Committee inform the background of the areas where the Committee needs to visit. During this visiting exercise for example, there is a proposal that if the Committee see fit, there should be a visitation to SAX (South Africa Express Airways). This is because of a lot of issues that have been troubling it for example its operating licence was suspended therefore there is need for the Committee to go and visit it. The other place is SENTECH. If Members remembered, the government has made a decision that the Department of Communications together with SENTECH must connect schools, hospitals, clinics. SENTECH are the distributors if not connectors and it is important the Committee familiarises itself with SENTECHs’ operations so as to be ready for the digital migration. Initially, the proposal was for the Committee to go to Mpumalanga but after looking at logistics on which area will produce or achieve the most for the Committee, it will go to Gauteng instead. In Mpumalanga, the Committee will only deal with one issue as compared to Gauteng which the Committee can deal with many issues. He responded that the right way was for the staff to ask for proposals for the program from the Members instead of coming up with them on their own. Oversight is not just oversight visit but is a means to change something which means should be in the hands of the members on where they wanted to see change. It is progressive to come up with proposals that have been made but the issue is whether this represents the views of the people on the ground. Mr J Parkies engaged the secretariat that there was no need to go to SAX and opined that it was water under the bridge and that a visit would be useless. It is a futility exercise. The key was to focus attention on projects that benefit other people. The issue of SENTECH there was need for an oversight. It is acknowledged that a visit to one area denies the committee time to visit another like in the case of Mpumalanga. The two areas were good but if there was a third area it would even be better. There was need to focus on issues that bring quality to the lives of people. The Chairperson apologised to the Members stating it was her responsibility to ensure the work on the program was properly coordinated. Although seemed like it was water under the bridge, there was need to visit SAX as it had serious economic implications to provinces like Eastern Cape and other provinces directly benefiting from it. There was need to know what exactly was the status quo so that members are able to make clear proposals on what to be done given the situation and possible time for solving the problem. There was a need to know the situation even if members did not visit the site because there was need for something to be done. Mr Parkies responded that he understood but was of the view that instead of Members going to SAX it was SAX who ought to come to Members. There was no need to waste energy going to them when the Committee could easily call them to brief Members. This was because whatever intervention that Members would have was long overdue and has been overtaken by events. But as a way of going forward, SAX should be given a date to come before members. There was need for energy and time to be focused on strategic things that brought more value to the people. Mr Nyambi engaged the conversation and said that there was need for the secretariat to come up with a proper proposal giving reasons for need to visit SAX. There is need to pay them a visit because there is a lot happening down there for example are they merging and other angles that need to be ascertained. Members would get more information from going to SAX than for SAX coming to them. There was also need to go to Transnet because Members had earlier agreed to go there. Mr E Mlambo (ANC; Gauteng) added that he seconded the proposal by Mr Julius especially on SAE and Transnet. Dr Mateme commented that there was need as a Committee to come up with a program with a clear point of focus so as for maximum achievement. Whether SAX is called to the Committee or not there was need to know the specific areas to focus on. 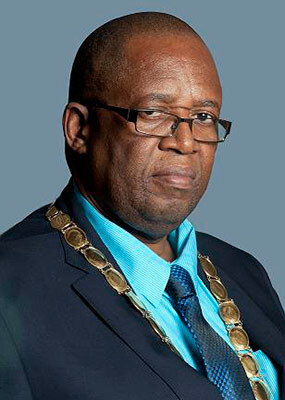 The Chairperson concluded that it was unanimous that there was a need for Members to go to SAE. Mr Nyambi added that for purposes of hotel accommodation and transport logistics to be managed better and gave an example of the hotel members staid in the last time which was close to the oversight area thus there was ease of accessibility. Mr A Singh (ANC; KwaZulu Natal) also stated that the accommodation should take cognisant of meals as sometimes members who for example eat only Halaal have to ask hotels to prepare meals again which caused delays. The Chairperson thanked everyone and the meeting was adjpurned.